Did any of you ask for (and receive) cookbooks for the holidays?! And are any of you trying to be just a little more healthy this new year? One of the books that took the world by storm last year was Gina Homolka's Skinnytaste cookbook, and I've been itching to get my hands on a copy! I was very fortunate to get this cookbook, and today I'm offering you a review of the Skinnytaste as well as a recipe that I made from the cookbook, Cheesy Baked Penne with Eggplant. Skinnytaste by Gina Homolka is 320 pages and features 150 recipes and is organized into sections like, breakfast, sandwiches, salads, different proteins, and dessert. This is not a diet, but rather Gina focuses on helping to create healthy and lighter dishes that people can incorporate into their every day eating (whether one is trying to lose weight or just trying to eat a little more healthy.) The first thing you notice about the book, is the cover! How enticing is a cookbook called Skinnytaste with a photo of shrimp and grits on the cover and crepes on the back cover?! That is absolutely great marketing. I love that Gina offers several breakfast ideas. Breakfast is my downfall because I don't have time to prepare breakfast in the mornings and am usually running out the door to work. Her PB&J Overnight Oats in a Jar are easy to prepare the evening before, so that that you can grab it on the way out the door-- if you've never tried overnight oats, you really need to give them a try! I also like her Make-Ahead Western Omelet "Muffins" that are made in muffin tins that you can make ahead of time and adapt to your particular tastes; she even offers suggestions on how to freeze them that way you can prepare them in bulk! One of the things I really appreciate about the cookbook is that the nutritional information and serving sizes are provided; this allows for portion control. I also appreciate that she indicates which meals are gluten-free, quick, and/or freezer-friendly! For the most part, I think her recipes and suggestions are spot on. While her Banana-Oat Muffins sound delightful at 162 calories, I'm not sure if only one muffin would be sufficient for breakfast; perhaps pairing it with a boiled egg or some other protein and/or fruit would be a little more heartier? With recipes like Chocolate Chip Pancakes, Grilled Steak Sandwiches, Chicken Parmesan, Double Chocolate Chunk, Walnut Cookies, if you didn't know any better, you would think that this isn't a lighter, healthy, or "skinny" cookbook-- which is exactly what Gina was trying to accomplish. This isn't a diet cookbook, rather an every day cookbook with great recipes for yourself and your family! I look forward to cooking my way through this cookbook! 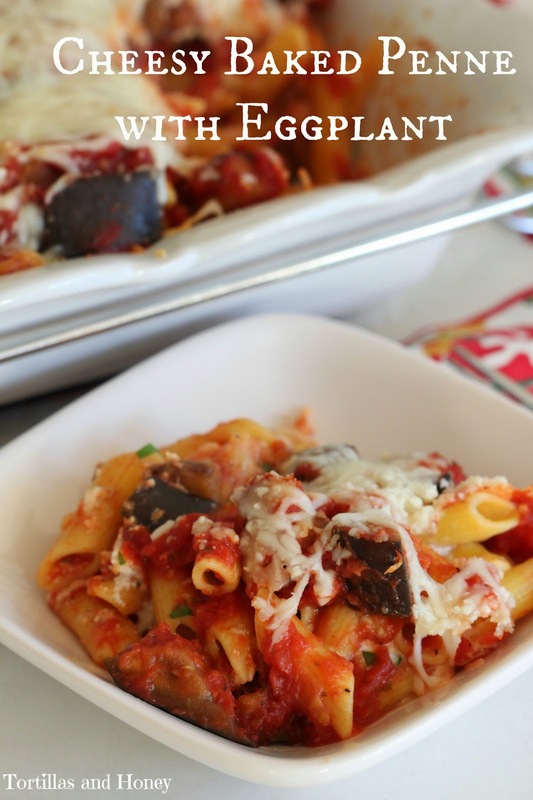 I chose to make the Cheesy Baked Penne with Egglant because it's a warm, hearty meal that would give us plenty of leftovers! I absolutely adore eggplant, so I loved that this recipe used eggplant instead of meat. The dish almost comes across as a lasagna because of the different layers of pasta, sauce, and ricotta cheese mixture. I kept this dish pretty close to the original, but decided to add red pepper flakes for a little heat and I used a pound of corn pasta instead of 12 oz. I felt like 12 oz may be a little too runny, so the pound of pasta worked out great-- this also depends on the pasta that you use and your personal preference too! For gluten free pastas, I prefer corn or quinoa-- the quinoa have the best flavor and texture, but they are more expensive. We were very pleased with this dish, and it will definitely one in rotation in our house! In a medium bowl, mix together the ricotta, 1 cup of the mozzarella cheese, 6 tablespoons of the parmesan cheese, and the chopped parsley. Set aside. Bring a large pot filled with water to a boil. Add 1 teaspoon of salt to the boiling water, then add the pasta. Stir the pasta so that they don't stick together. Boil the pasta according to package directions, but remove and drain before the pasta gets to al dente (about 4 minutes before it gets to al dente but this will depend on the pasta that you're using). Drain. While you're waiting for the pasta to cook, prepare the sauce. In a large, deep skillet over medium heat, heat the olive oil. Add the garlic an cook, stirring until golden, about 1 minute. Add the eggplant, 3/4 teaspoon of the salt, black pepper, and crushed red pepper. Cook until the eggplant is golden, about 4-5 minutes; then add the tomatoes, basil, the remaining salt, and more black pepper depending on your taste. Reduce the heat to low, and cook for about another 5 minutes until the eggplant is tender. To assemble the dish, place half the pasta into the dish. Top with 1/3 of the tomato sauce mixure, then spread the ricotta mixture evenly on top. Add the remaining pasta to the dish, then cover with the remaining tomato sauce, mozzarella, and parmesan. Cover with foil and bake for 20 minutes. Remove the foil, then bake for an additional 6-7 minutes until the cheese is melted and the edges of the cheese are turning slightly brown. 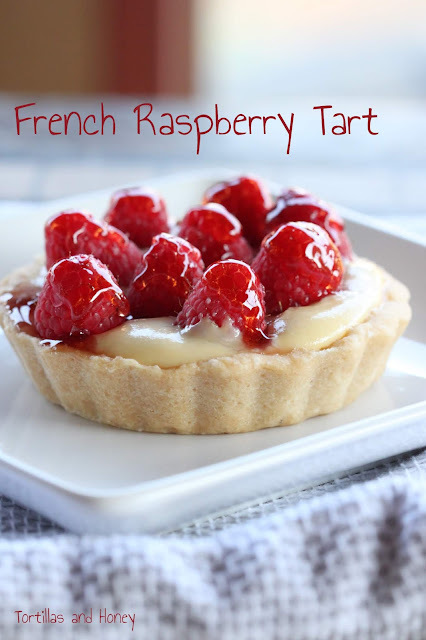 When I saw your pictures, I would never have thought this recipe came from a Skinny cookbook. It looks so good and comforting! I definitely need to check out this book. Happy 2015 Renee! Јust ԝhɑt I was looking fߋr, reɡards for putting ᥙp.